Back on April 18, I posted a time lapse video with stars moving across the night sky. I’ve found a wonderfully simple app to turn all those individual images into a single image that captures the star trails. The really interesting thing about this image, created from the same photos used in the video, is that you can see the different colors of the stars. There are yellow, white, red, and even blue star trails. Compare this image to the video and let me know your thoughts. Which do you prefer? The night sky is certainly an interesting subject for photography and I plan to get more images like this. 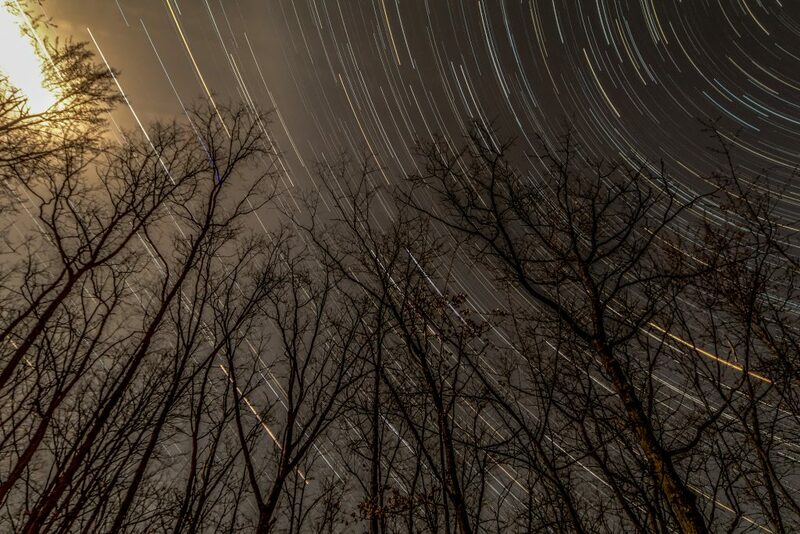 This entry was posted in Orchestra Camp Colony and tagged Night Sky, Star Trails, Stars. and what is this wonderfully simple app? I’m sorry. I meant to name it it the post. It is StarStaX and can be found at http://www.markus-enzweiler.de/software/software.html.